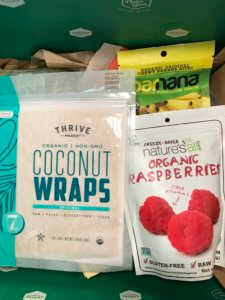 Have a Healthy and Happy Tummy With Thrive Market Sharing Healthy, Delicious and Nutritious Products With You! Are you tired of running to the grocery store every week or maybe multiple times a week? Hate paying a pretty penny for high quality products? Exhausted looking at every label trying to find a product that has 5 ingredients or less? Don’t sweat it, I have the answer for you, Thrive Market! Working with my food sensitivity clients has led me to Thrive Market. 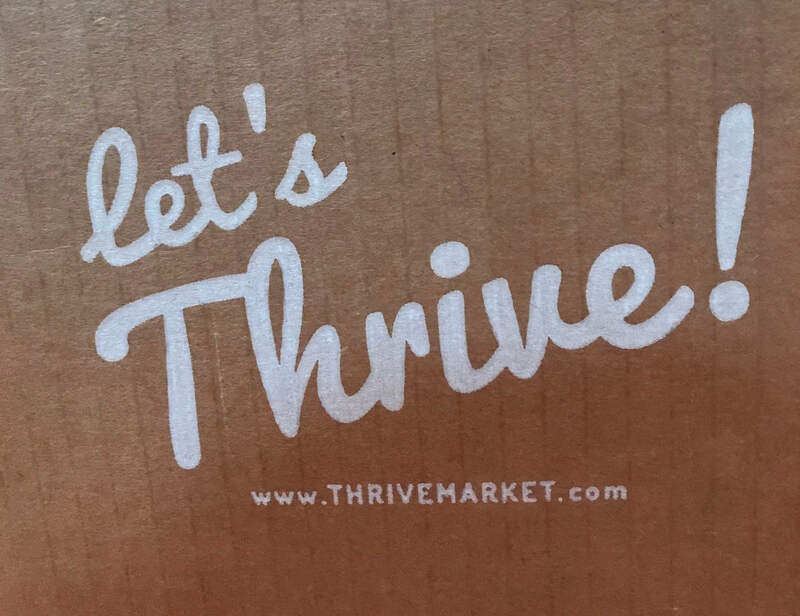 Over and over again when researching out good, high quality products I have found that Thrive Market carries many that I recommend to my clients. Why does this matter? Our gut houses about 70-80% of our immune system, because of this it is so important to be feeding our bodies good nourishing foods. 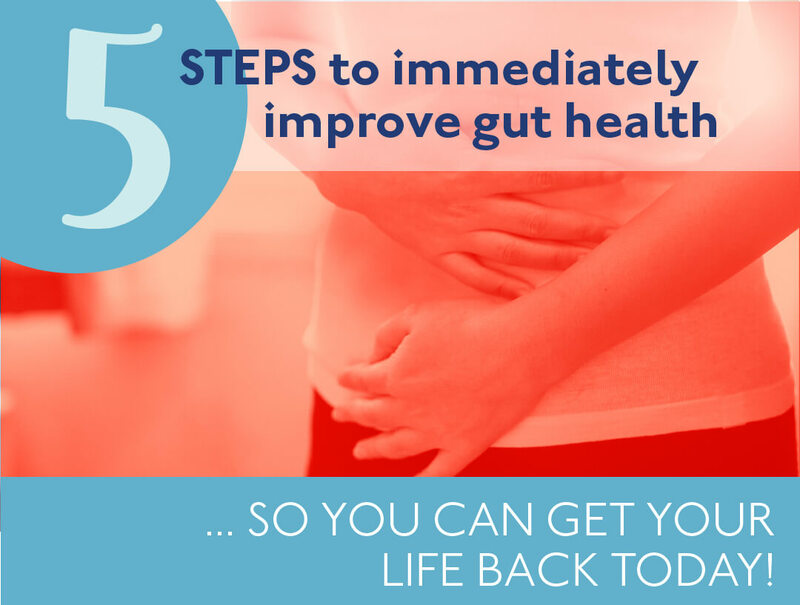 When we feed our gut nourishing foods as a result we feel better overall. We have more energy, sleep better, we think more clearly and we’re in a better mood. We have less skin issues and digestive issues. Another reason, you decrease your chance of developing an autoimmune disorder, less chance of visiting the doctor, and therefore less chance of taking medications and the list goes on. 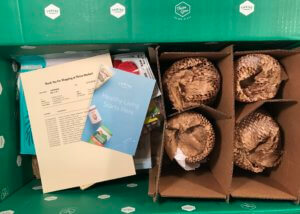 As you read on, if Thrive Market seems like a good fit for you I would like to offer my affiliate link. As a result of each membership sold, I do receive a small commission. Most of all I want to be as transparent with you as the products I have listed below! So excited to open my box! It’s like Christmas around here! 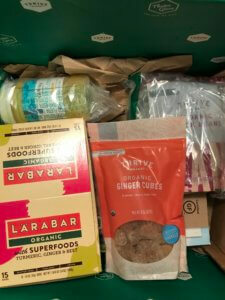 Organic Turmeric, Ginger and Beet Larabars: I haven’t seen these in our local markets so it was fun to order something new that we haven’t tried yet. Ingredients: dates, almonds, unsweetened apples, beet powder, turmeric and ginger. Doesn’t get much better than that! Organic Sauerkraut: Sauerkraut unlike cabbage has increased health benefits. Why? Because it is fermented. Fermentation creates a condition that promotes the growth of beneficial probiotics. Probiotics help make foods more digestible, this increases your gut’s ability to absorb the vitamins and minerals probiotics contain. Ingredients: organic cabbage, water and sea salt. Simple! 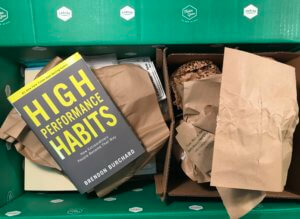 Erewhon Crispy Brown Rice cereal: A simple cereal for my food sensitivity clients. Ingredients: organic brown rice, organic brown rice syrup and sea salt. Legit! Organic Ginger Cubes: Ginger is wonderful spice with anti-inflammatory and antioxidant properties. Ingredients: organic ginger, and organic raw cane sugar. Uncomplicated! Organic Ghee: Something I have wanted to try especially since I have been recommending it to my clients. Ghee is basically clarified butter. This means that the milk solids have been removed therefore making it lactose-free and leaving behind only the fat. Some people may tolerate this much easier than butter. Ingredients: organic unsalted butter (milk). Clean! Organic Marinara Tomato Sauce: This sauce has no added sugar. It’s hard to find a sauce that doesn’t have a lot of “other” ingredients added. Ingredients: organic whole peeled tomatoes, organic fresh onions, organic extra virgin olive oil, organic fresh garlic, sea salt, organic black pepper and organic fresh basil. Straightforward! Organic Black Beans: Beans are a wonderful food. They are full of protein, fiber, antioxidants, vitamins and minerals AND they are so affordable. Ingredients: filtered water and organic black beans. Transparent! Sustainably caught, non-GMO Wild Pink Salmon: I have come to like and use canned salmon. What a wonderful way to get your omega 3’s quick and easy! Ingredients: wild pink salmon and sea salt. self-explanatory! Sustainably caught, non-GMO Light Chunky Tuna: Another simple food that packs some protein. Ingredients: skipjack tuna and water. Clear! Raw Pecan Butter with cashews: This is a great alternative to other nut butters most of all it can save you from having to make your own. Ingredients: raw organic pecans and raw organic cashews. Needs no explanation! Organic Original Chewy Banana Bites: We were pleasantly surprised to find these gems in the market. My husband likes to use these while he trains for his Ironman races. Ingredients: organic banana. Again? Really, this is just too simple! Organic Freeze Dried Raspberries: This is a creative way for my food sensitivity clients to have a snack. Ingredients: organic raspberries. Basic! Organic Original Coconut Wraps: I thought this looked super interesting for my clients since almost always bread is something that takes a while to get back into their diet. Ingredients: organic coconut meat, organic coconut water and organic unrefined virgin coconut oil. Clear cut! 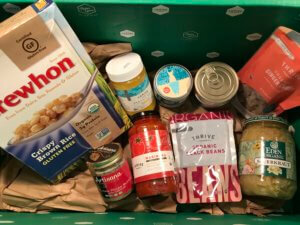 I hope this gives you an idea of why I think Thrive Market is noteworthy. Consequently, you cannot do all of your grocery shopping at Thrive Market but you can supplement so many products. Have FUN shopping!